Ready to embark on your sustainability journey at EKU? The following resources have been created to help you learn more about how you can get involved with EKU's sustainability initiatives and to help you reduce your environmental footprint. Recycling Flyer: What Goes Where? 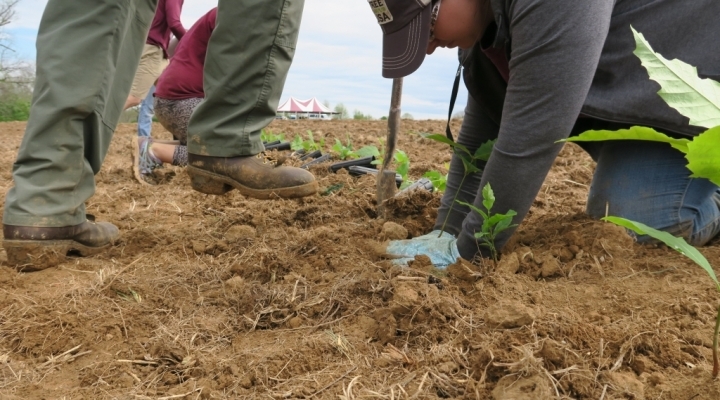 Courses & Programs - EKU offers many environmental courses as well as a certificate and minor program in Environmental Sustainability & Stewardship that can prepare students for a career in a sustainability related field. Interested students should contact Dr. Alice Jones for more information. Student Organizations - The Office of Sustainability supports many events throughout the academic year that students can support, volunteer, and attend. 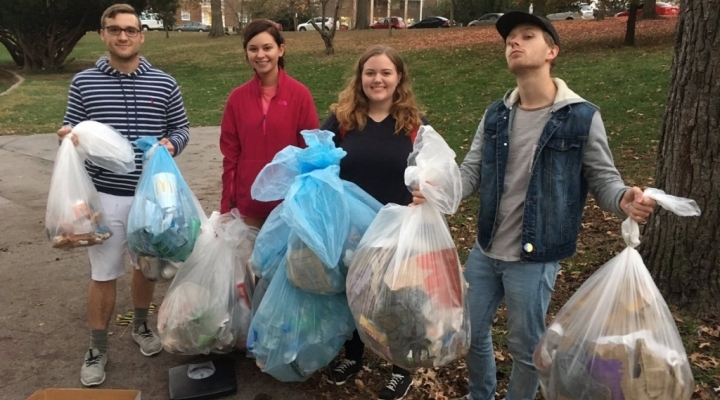 EKU also is home to a number of student organizations that focus on environmental stewardship; the Green Crew and Environmental Health & Safety (EHS) Club are a few good options for student leaders committed to the environment. 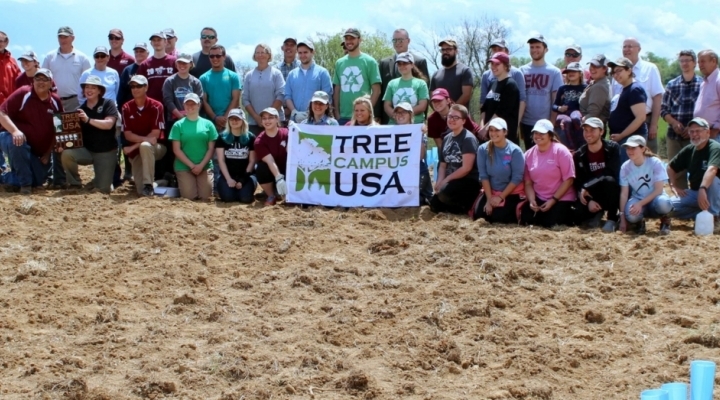 Campus Initiatives - EKU supports a number of ongoing programs that students can utilize to reduce their footprint. 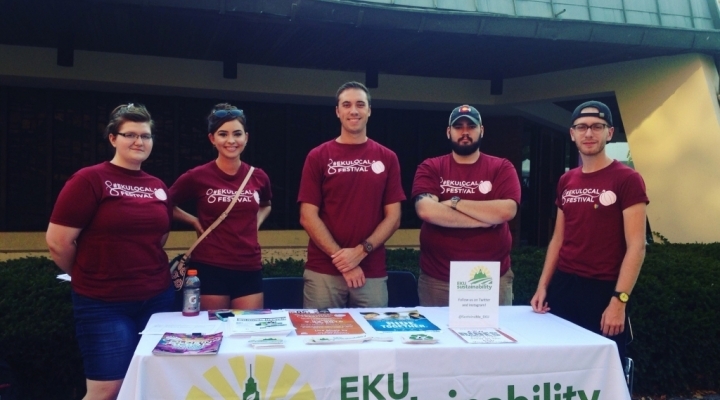 From recycling and campus beautification projects to low impact transportation options like biking, EKU Rides ridesharing platform, and the Big E Transit system, there are ample opportunities to do your part. Residence Hall Sustainability - We all know to turn off the lights when they're not in use, to take short showers, and turn the water off while we brush our teeth, right? But did you know that EKU also hosts a number of greenhouses, a community garden and a weekly farmers market to bring fresh & local foods directly to campus? 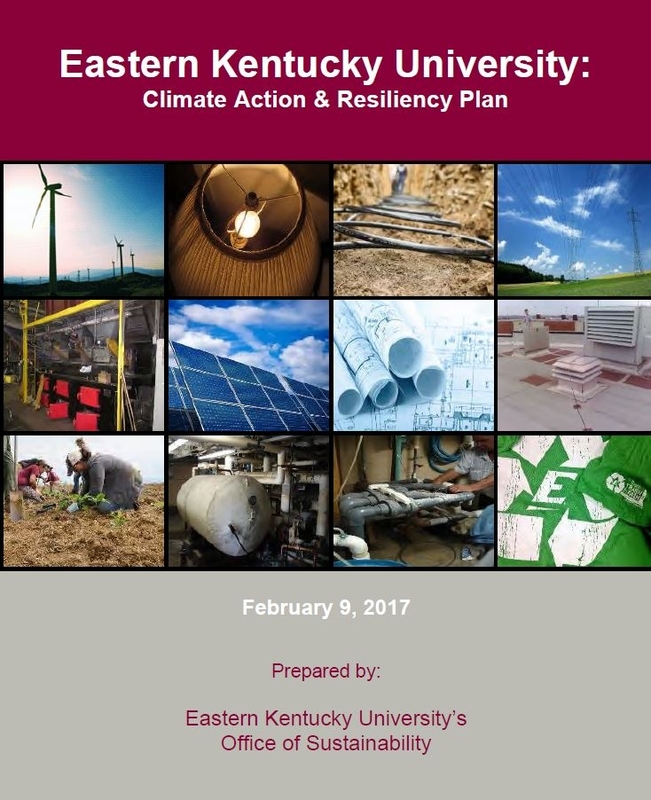 Download EKU's Resident Sustainability Checklist to learn more ways you can live more sustainability on campus. Follow Us & Spread the Word - Check EKU Students Today and follow us on Twitter, Facebook, and Instagram to stay up to date on EKU sustainability news and events! Office Energy Efficiency - Save energy by purchasing energy efficient office equipment. Try to avoid minifridges and other small personal appliances and instead share such devices with colleagues. Be sure to switch off and unplug your electronic devices over breaks and weekends in order to eliminate "phantom" power usage. Use LED bulbs rather than inefficient incandescent or hazardous compact fluorescent ones in any personal lighting. Avoid using energy intensive electric space heaters and be sure to turn off your lights when you leave the office. Waste Management - Set an example for your students and peers. Learn how to recycle properly on campus by downloading the "What goes where?" flyer. Cardboard boxes including pizza boxes can be set next to any waste bin for recycling by custodial staff. Reduce printing whenever possible and print double sided. Recycle your unwanted textbooks in marked dropoff bins across campus. Before buying office furniture, be sure to check out EKU's surplus store and eBay site. Contact IT to recycle your used electronics. Events - Conferencing and Events and Facility Services can provide recycling facilities at any event. Other ways you can make your event more sustainable include advertising digitally versus print, using reusable diningware over disposable, providing beverages in bulk (i.e. coolers, or pitchers) instead of bottles or cans, and supplying or selling refillable drinking containers. Choose reusable, recyclable or biodegradable decorations whenever possible. If you would like more ideas on how to make your event more sustainable contact us! 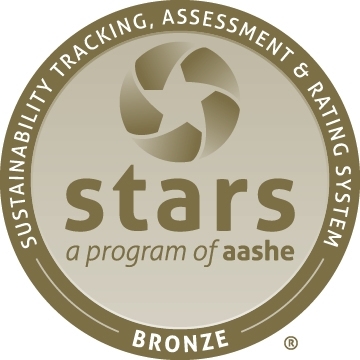 In the Classroom - Interested in incorporating sustainability learning outcomes into your sylabus or inviting the Office of Sustainability to your class? Contact us for assistance or to schedule an educational presentation. Connect With EKU - Setup a sustainability related internship in your company. We'll help you advertise it to EKU students! Events - Most Office of Sustainbility sponsored events are open to the public. Follow us on Twitter, Facebook, and Instagram to stay up to date on events and other sustainability news. Donate - Contribute financially to a specific interest area related to sustainability on campus by contacting the EKU Office of Development & Alumni Relations and directing donations to EKU's sustainability fund. Feel free to let us know how you would like to see the money spent. Be a Leader! - Set an example in the community by living a more sustainable lifestyle. Becoming more energy efficient in your home, reducing your water usage, driving less, shoping local, and reducing waste while recycling more are a few great places to start! If you would like to get involved with sustainability at EKU in another way please contact us.